he invited me to Harvard. He proposed. I broke his heart. © by Patricia L. Goodman. 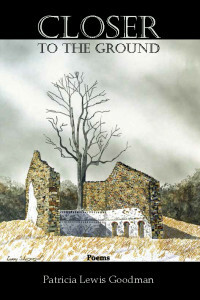 Patricia L. Goodman is widely published and a 2-time winner of the Delaware Press Association’s Communications Award in poetry. A graduate of Wells College, she has a degree in Biology and is a member of Phi Beta Kappa. Until his death, Patricia and her husband bred and trained horses on their farm in Chadds Ford, Pennsylvania. She now lives in Delaware, on the banks of the Red Clay Creek, where she is surrounded by the natural world she loves. Very touching poem, Pat. I too especially liked the line that jah mentioned, " his cello bow/almost touches my violin." Glad you shared this one. "The saddest words of tongue or pen are simply these: It might have been." Nice touch--especially like the description in the photo: "His cello bow/almost touches my violin."